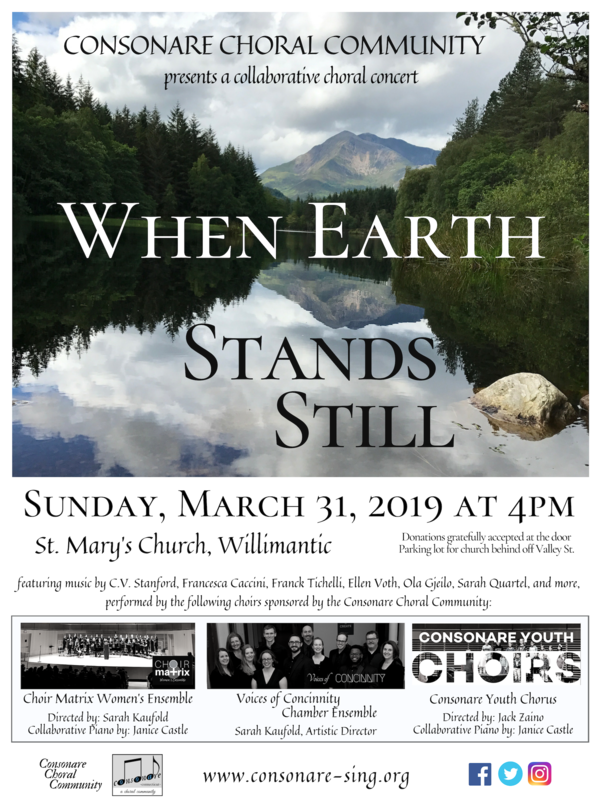 Consonare Choral Community is eager to share a collaborative concert, “When Earth Stands Still” with the community by performing music that illuminates the beauty of our earthly home and explores our connection with this world. This performance will feature all of our choral ensembles: Voices of Concinnity Chamber Ensemble, Choir Matrix (our community women’s choir), and Consonare Youth Choirs (our community choral opportunities for youth). This concert will include music by Francesca Caccini, Frank Tichelli, C.V. Stanford, Sarah Quartel, Ellen Voth, and more.. 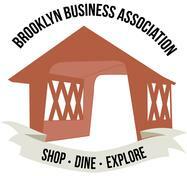 Admission is free, but donations will be gratefully accepted. This concert hopes to take the audience on journey through beauty, stillness, reflection, and hope. For more information, please feel free to visit our website at consonare-sing.org.